Removalist companies offer backloading services which is a huge benefit to the companies as well as the clients. 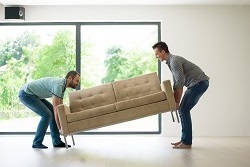 While a professional removalist company can remove your furniture with care, to see that no damage is caused, they can also stack it on to their truck and transport it safely to the location you are moving to. We, The Backloading Company are a backloading removalist company operating throughout Australia. How is a backloading service cheaper? 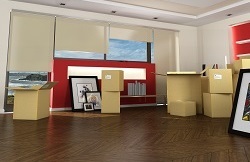 If you are moving interstate or to a different city, you need to move all your furniture and other belongings with you. This is a cumbersome job and you will need the help of professionals to handle it efficiently. You are highly advised to seek help from a backloading removalist! 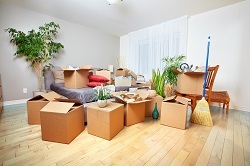 A backloading removalist removes all your furniture, home or office goods for that matter, and pack them using quality materials to ensure they are safe. Extra care will be taken while packing small or delicate components and electronic items. The goods are then stacked on to a truck where your furniture will be sharing space with the goods of other customers. This is an efficient way to transport furniture as the cost will be shared by all those hiring the truck. You do not need to hire a dedicated service for the purpose here because you only need to transport it one way! Hiring a backloading removalist is thus cheaper. You only need to pay for the space occupied by your furniture and distance, one way. You definitely do not want to pay more than what you need to, right? While a backloading removalist is affordable, it is also beneficial as you will be offered discounted rates. Hire cheap removalists and move to your new place with no concerns. We, The Backloading Company are cheap removalists and offer our services at unbelievable discounted prices. How does a backloading service work? If you are planning a move, be it interstate or to a different city, you first need to get in touch with a removalist company. 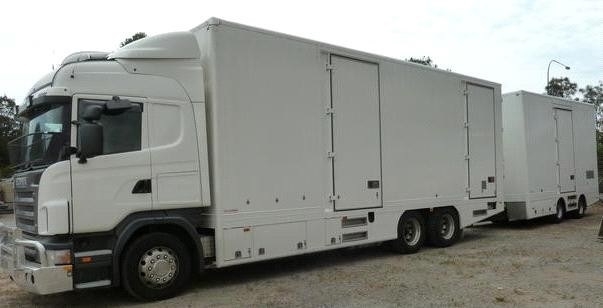 We, The Backloading Company are into removals and backloading for over 2 decades and you can rely on us for efficient backloading and moving service. We first note down what furniture are to be removed. Once the inventory list is ready, we make sure that a truck is ready for you at the date and time of your convenience. Our removalists arrive at your location at the exact date and time and remove and pack your goods. Just sit back and watch how professional we are! Once the goods are packed securely, we load them on to our truck. We stack your furniture in such a way that they can be easily unloaded at the destined point. Backloading helps you cut down costs. Especially if you are moving a handful of furniture and your belongings are limited, there is no reason for not opting for backloads. Why pay for the whole truck when your goods do not take even half the truck space? Just decide on the date and time and let us know. We will book a truck moving in your direction. Call us for a free quote today! You feel some pressure when you need to move to a different place. However we are a reputed removalist company with a long history of expertise and know how best to organize to make your move a pleasant experience. Trust The Backloading Company for all backloading and moving services. No matter where you are moving to in Australia, we can take care! We see to it that you make great savings and move to the new location with a smile! When you are on the hunt for an affordable interstate moving company. Look no further, as a leading interstate moving company, The Backloading Company are here to assist with all your home or office furniture moving service needs. We supply free moving quotes at affordable rates. We provide an amazing and reliable interstate moving service. As a home or office furniture moving service specialist, The Backloading Company will handle all your furniture and goods with care. Ensuring all your goods are moved safely and effectively interstate throughout Australia. When it comes to home furniture, The Backloading Company have been using specialised techniques for over two decades. Moving home furniture throughout Australia on a range of different trucks. From the point of pickup to delivery. The Backloading Company have an excellent ability to ensure all your furniture and goods are loaded and secured for the long interstate moving service. Home furniture moving services basically means that anything in your home you want moved, The Backloading Company can do. Are you in need of an office furniture moving service? Do you need your furniture dismantled and or assembled at a new location? Well let The Backloading Company do it all for you! For over two decades, The Backloading Company have provided companies and corporations an interstate moving service that is second to none! Using specialised techniques to ensure all your goods are moved safely and effectively, guaranteed!